Becoming interested in wine is generally passion-led. The journey rarely starts with a cold interest in speculation. 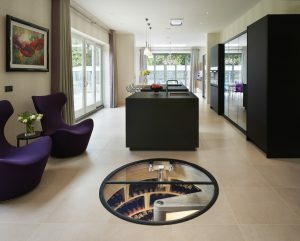 More likely, you will ‘discover’ fine wine through friends, family, a gift or a food and drink experience. Following that initial damascene moment, the first few cases of wine that are bought for future drinking are the seeds from which the branches of many a collection grow. Tastings, dinners, the myriad invitations to treat arriving via email on a daily basis; all fuel a thirst for knowledge. Subscriptions to websites of wine critics, and their florid or elemental descriptions of new releases, inspire the collector to expand the portfolio of wines whose drinking windows extend ever further into the future. At some point buying becomes strategic and the first leg of the collector journey is complete. As personal knowledge expands, attitude to risk lessens. There is an undeniable logic to justifying the acquisition of increasingly expensive wines by focusing on the possibility, or probability, that they will be worth more in the future. There are only two reasons to buy young wine or strategically: scarcity and value. Otherwise why on earth would you? So you either buy today because you believe that a wine will be hard to find in the future, or you buy today because you think it’s going to be better value now than in a few years’ time. The third oft-mooted reason – that you buy now because that’s the only way you can guarantee provenance – has partial merit but ignores the many solid sources of supply where traceability and clear storage history exists. 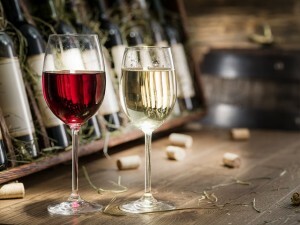 The new fine wine portfolio management and peer to peer exchange model exemplified by WineOwners.com is able to bring further transparency and traceability to the secondary market. For some collectors the hefty ownership premium due for a guarantee of provenance is worth the price. Far more often, good provenance is a reason to buy wine when it approaches its drinking window, when the seller’s ability to prove history really does matter and can pay dividends. As soon as the possibility of future appreciation comes into the purchasing equation so does the role that wine can play in your life as a store of value. If you’re interested in fine wine and enjoy consuming it, sharing it and learning about it, it’s a natural place to put a modest proportion of your disposable income. That’s why you choose wine as a hobby as supposed to any other pleasure or treasure asset such as watches, cars, art or anything tangibly similar. Because you love it and believe you understand it relatively better than many other options available to you. So thinking about wine as a store of value around the fringe of your total net worth is something that often happens over a period of time, arising out of the natural evolving cycle of wine appreciation and collecting. The truth is that strategic buyers of fine wine have been making money out of it for decades. Forty years ago people would talk about their fine wine collections in a hypothecated way. “I’ve bought 2 cases of xyz wine so I can drink 1 for free”; “My 10 cases of xyz wine paid for the kids’ schooling” etc. Hypothecation is an acceptable way of justifying the treatment of wine as a store of value. Describing it in the language of an asset class isn’t. Tell me the difference? There’s also very tangible utility beyond its market worth, whatever that may be. It can be drunk, enjoyed and even contemplated! Collections tend to be bought with a clear idea of what will be drunk and what won’t. However, perceptions of affordability and acceptability do change over a life period, as wealth increases and personal preferences crystalize. Wines predicated for resale when purchased can become must-experience wines over time, driven by a desire to experience them. For a collector, the essential starting point is being able to catalogue and value a collection. Consumers lack the inventory management systems that wine professionals take for granted, and commonly lose track of exactly what they own and where it’s stored, frequently underestimating the amount of wine they’ve bought over time. Online portfolio management tools give collectors what they commonly lack to catalogue, analyse and take decisions about what they wish to drink, lay down or sell. A lack of direct market access frustrated a core of wine collectors and enthusiasts who were hoping for the same degree of market access, transparency and control that they enjoyed in other hobbies and asset classes. 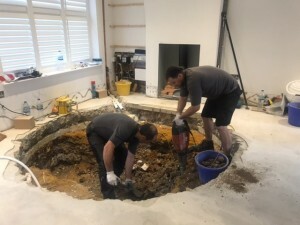 They found it frustrating how long-winded the industry-standard sales process could be, which often meant waiting weeks or months before receiving payment for wines sold on their behalf. For any self-directed private client price discovery is a precondition. There’s always been an abundance of pricing data online thanks to Wine-Searcher and Google, but making sense of it and finding a reliable market level price – the point at which a wine is likely to find a ready market – requires analysis and a lot of clever number-crunching. For a market to thrive, participants must be protected by transparent and safe trading practices, which must reflect the peculiarities of a market. Fine wine buyers must have the option to inspect condition, check provenance and be permitted to accept or reject matched offers to their bids. Assuring the buyer’s position in this unique way may seem odd, but there’s a very good reason for it: one case of wine isn’t indistinguishable from another due to variables such as storage environment, location, tax status, and packaging. Portfolio management requires pricing, charting, reviews and scores (the equivalent of analyst reports), drinking dates, producer profiles – everything that self-directed investors take for granted in mainstream investments. Integrating portfolio management with a peer-to-peer trading exchange streamlines an otherwise lengthy process. 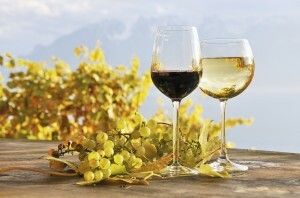 Selling wine through market intermediaries can be time consuming. • Payment for wine sold through them might take weeks or months to come through. • First the seller needs to get quotes, decide what to sell through whom, then has to instruct transfer of the wine to the intermediary’s storage location where it can be inspected. • Only then is it put up for sale. • This necessitates repeated movement of wine in a very short period of time and increases the risk of exposing it to variation in temperature, especially during the warmer months. By contrast an online system that allows collectors to sell wine wherever it is streamlines existing market practices. 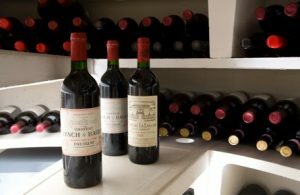 Inspections are carried out in whichever specialist wine storage facility the wine is held, the wine’s condition is protected, and trades can be settled and transfer to the buyer can be completed in a couple of days or so. 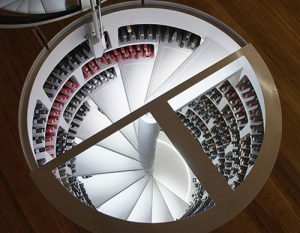 With Spiral Library all of these preconditions are now in place for the fine wine market.